Finding a quality used truck doesn’t have to be as challenging as it seems. Although there are plenty of options out there, few provide the level of dependable performance and quality features that make a modern truck such a great piece of machinery. This seems especially true when considering how important entertainment tech has become, and how much a consumer will be willing to pay – and hold out – for quality technology. That’s why it’s always a good idea to shop for brands you know and trust – and when it comes to finding a great used truck, few can compare to a used Chevy Silverado. Take, for instance, the 2014 Silverado, which heralded the third generation of Silverado and ushered in an all-new, modernized truck for today’s drivers. Featuring plenty of high-tech features to match its top-quality performance, the third-generation Silverado has just about everything you and your passengers might need for a comfortable ride, no matter how long your trip may be. The 2014 Silverado really introduced consumer-oriented technology as a main part of the overall appeal of a Chevy truck, bringing with it some of the advanced entertainment and connectivity tech that we drivers have come to know and love. Featuring Bluetooth hands-free technology, USB inputs, and Apple iPhone and Android connectivity for all your easy on-road business, the Silverado was among the first truck model lines to bring these driver-centered features to the forefront of standard pickup construction. Through a special partnership with one of the most popular streaming audio services out there, the Silverado also offers Pandora audio through the Chevy MyLink infotainment system. Drivers can let Pandora breeze through a great pre-made playlist or simply plug in an MP3 player for totally unique tunes anywhere, and enjoy the sound of high-fidelity audio with total clarity, thanks to the available Bose premium surround-sound audio system. Plus, with OnStar standard on every third generation Silverado, you can drive with peace of mind, knowing that you’ve got back up in case things go south. This means that you’ll always be a part of the action no matter where your Silverado takes you – thanks to Chevy’s commitment to advancing in-vehicle technology. Buyers of used Silverados can also rest assured knowing that the third-generation is literally built on the power of advanced technology, especially given Chevy’s use of processes like hydroforming technology and roll-formed steel to improve the strength and durability of the Silverado’s core frame. And that’s not to mention the advanced tech that went into designing Chevy’s efficient EcoTec engines, smooth-shifting transmission, and LED lighting that all give your truck the special vibe that only a Silverado can bring. So whether you’re a rough-and-tumble truck lover looking for a way to spruce up your regular drive or a newly-converted trucker wanting to jump in the game with a good head start, there’s almost no better option for the keen-eyed buyer than a used Chevy Silverado. Featuring some of the best consumer technology to match its impeccable performance stats, the Silverado offers an excellent option to tackle just about any job, without leaving your passengers bored in the backseat. 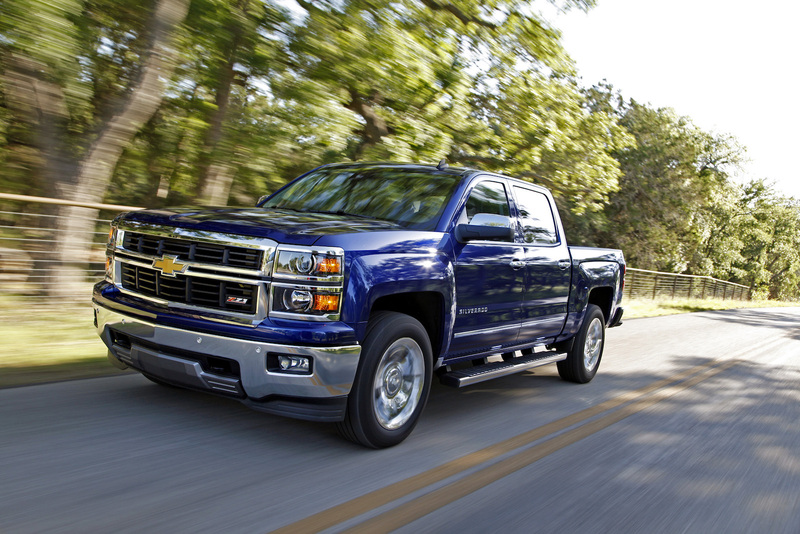 So test drive the Silverado and see if it’s for you – and don’t forget to check out that tech.